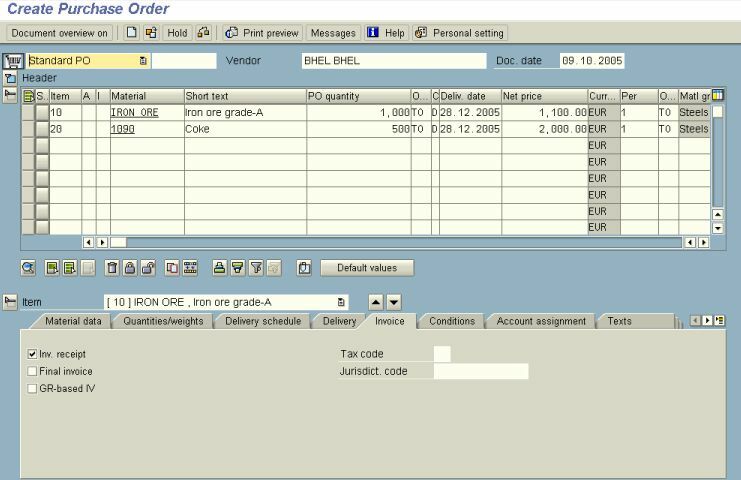 Transaction code ME21N is used for creating a purchase order in SAP. A purchase order is the legal document for purchasing items from a vendor or from different plants ( sections ) within a company. We can enter each details or copy from a preexisting RFQ (if it appropriate ) while creating a PO. 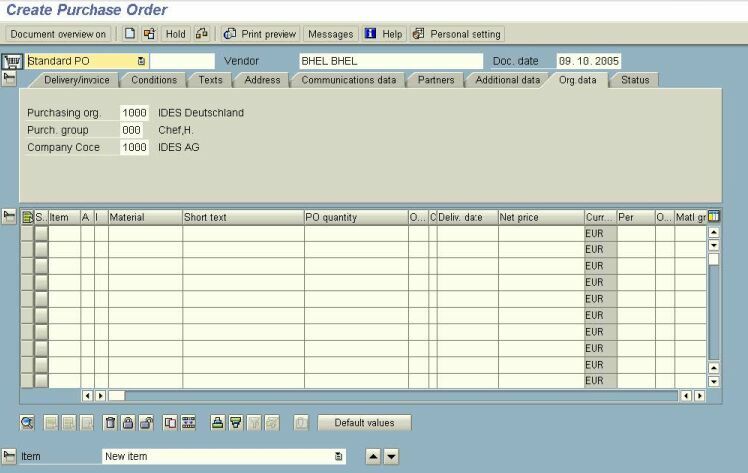 Before starting to create a new purchase order we need the following basic data. If the material & vendor records are there master records , we can choose that.Now we can learn the steps included in creating a new purchase order. Its a pretty simple interface provided by SAP that anyone can easily create the things without much knowledge. You will get some more idea by seeing the following sample screenshots . 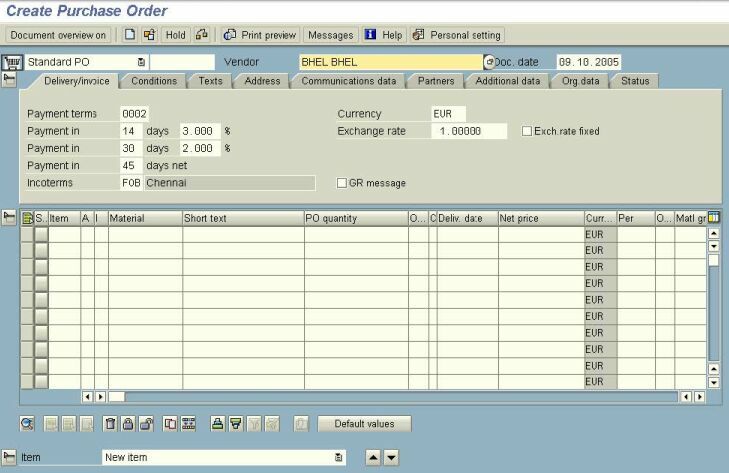 Other important transaction codes to remember with purchase orders are ME21N for creating, ME22N for Changing and ME23N for displaying the PO’s.